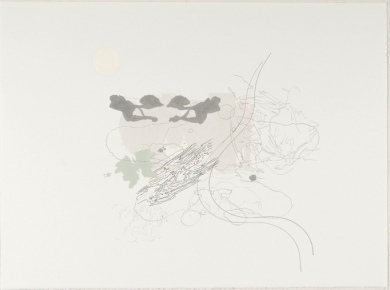 My recent drawings represent an ongoing series combining man-made and organic form. I have a continuing interest in line, and how it relates to motion and energy in a work of art. My previous series have included transparent and sculptural elements, in addition to video installations. I attempt to create an environment where the vigor, or force created by the form is retained in the piece. 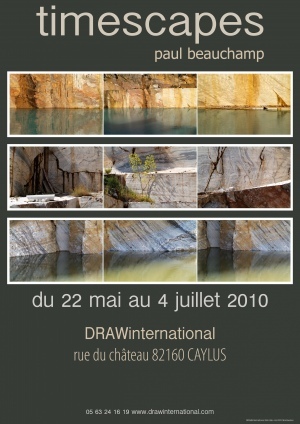 I would develop new connections between form and content, using my exposure to the architecture of the beautiful environment of the Tarn and Garonne area as a stimulus. I especially am attracted to the medieval architecture of the region. I became fascinated by DRAWinternational residency for its emphasis on drawing as a research and a thinking tool. The reason for applying to the residency is to be able to immerse into experimentation with drawing, and to gain insight into drawing as a research tool, and in relation to other media, especially performance. During my residency I would also like to gain a deeper understanding of my own working process, and of drawing as a medium. I am using stories from the Indian epic, The Mahabharata, as an inspiration for my current works. I've been interested in the stories of the Mahabharata from a philosophical and spiritual perspective. Being life lessons that are so present in the cultural memory of everyday India, they are also a means of connecting with the space in which I now live. The process has become one in which I am balancing spontaneous mark-making and planned composition. I mix drawing and painting, sometimes drawing into wet paint and other times painting over pencil marks. I'm also trying to be conscious of how I'm using my body (small stokes vs. big, slow movements vs. fast, light vs. hard) and the emotional/mental effects the physical actions have on me. I'm starting to also think about how this may be taken further using tools or implements for mark making that are an extension of the body. I see this mode of working as a dialogue between the marks, my intuitions and the larger narrative and characters. I would like to continue this line of research at DRAWinternational. I'm interested in having a rigorous dialogue about my work that challenges and opens me up to new ideas. My drawing practice has centred on articulate notations (the music notation, for example) as hybrid representation systems that allow users to write to a conjunctive space-time of performance, rather than merely mapping spaces, or logical relations. The potential of systematic notations will be critically pushed in my residence at DRAWinternational, where I will adapt the simple node-link graphic -- a vital class of technical drawing adapted for use across professional contexts, and develop a time-space notation as an aesthetic-scientific query, rather than a future-subjunctive performance drawing. I have been working with the theme of exploring live art in a public context and I like the process of making art itself as 'art' rather than that of the finished product. A direct dialogue within a public context - time - art and action, the making of live art is mind mapping between imagination, execution, spontaneity and public visual interaction. The body movement is like a performance in relation to art production in live art, the direct articulation with the public in the context of making art is an important aspect of action, and at the same time one discovers one's own self. 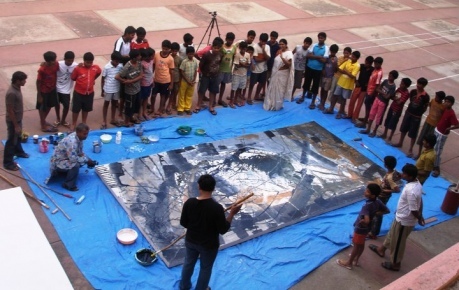 Manohar Chiluvera lives and works in Hyderabad, India, he has been involved in live art events since 2002 in the following cities: Warangal , Hyderabad , London , Spain and New York. As a designer I sift through my life bringing the personal into my practice and finding visual solutions to express where i am. My practice includes historical research, site specific performance, GPS writing, photography and video. 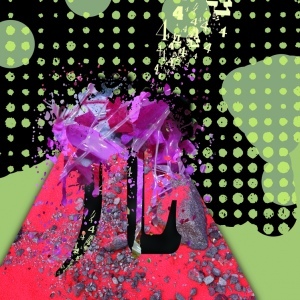 I use the data generated to create artist books and mixed-media exhibitions. For the last three years my works have revolved around the mountain as metaphor, which recently culminated in a three floor three room installation on the nature of the pilgrimage in relation to two of the five sacred Taoist mountains in China. Astrid Almkhlaafy is currently assistant professor of art design & media at Nanyang technological university, Singapore. In the 21st century the boundaries between the artificial and the natural are eroded and erased in ways that are both chilling and thrilling, producing surprises that can be wondrous and deeply disturbing. Hip and knee replacements, artificial hearts, cloning, genetic plant modifications, the pill, as well as countless other medications, have drastically altered what we thought we knew about distinctions between what is artificial and what is natural. Our complicated relationship with nature stimulates the way I choose to use contradiction in my work. In my garden of images, animal, vegetable and mineral combine into hybrids. Plants grow organs, tumors, blisters; they erupt and spit, dribble and drool. My proposal for a residency at DRAWinternational AIR is simply to have the time to fulfil an uninterrupted stint for a project I have had on the backburner for about 3 years. I have chosen the Institute du Monde Arabe as a springboard for the simple reason that it is a marriage…a hybrid of Moorish elements behind a stark modernist façade. This body of work will be based on the interior and exterior of the Institute du Monde Arabe in Paris and, I am interested in the contrast between the lights and darks that are reflected against her interior walls and stairwells as well as the repetitious, grid-like squares that face onto the courtyard. 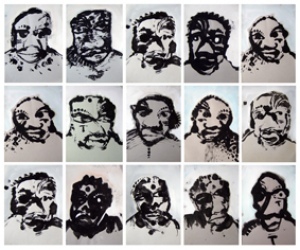 Pollyxenia Joannou is a practicing, exhibiting artist from Sydney, Australia who is represented by Conny Dietzschold Gallery in Sydney/Cologne. 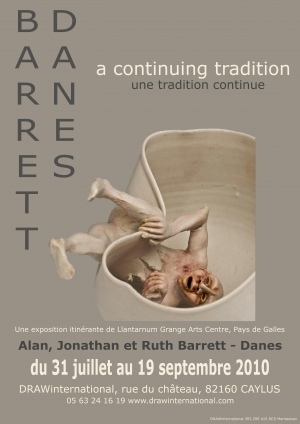 Exhibition 'BARRETT- DANES - a continuing tradition'. The exhibition presents the work of Alan and Ruth Barrett-Danes referencing the fascinating connection with Upchurch Pottery and the major influences made on the next generation of potters, within an historical context of the development of 20th Century studio ceramics. Working jointly and individually Alan and Ruth Barrett-Danes made a major contribution to the development of studio ceramics in Britain. For the Barrett-Danes’, ceramics has been a tradition spanning six generations and dating back to the early years of 19th Century. Over many decades Alan and Ruth Barrett-Danes passed on their skills and enthusiasm to generations of students, to an appreciative audience and to their son Jonathan, whose work shows evidence of their influence whilst having a life and direction of its own. Alan’s experiences and training meant that he was uniquely positioned to play a key role in developments of studio ceramics in the later decades of the twentieth century. No one else was as well-equipped as he was to take advantage of that moment when ceramics open itself up to its past and its future. Barrett-Danes: A Continuing Tradition offers the viewer an opportunity to see the life and work of an artist who was able to take the story of ceramics apart and then put it together again in new and challenging ways. The inspiration for this installation unearthed itself when I began spending long months roaming around the French countryside and reflecting on life. Working in remote villages forced me to slow down and adapt, turning inconvenience into an opportunity for innovation and self reflection. Everything is transient. People come and go, emotions and personal attachments whirlwind around in a tornado of intimate international social interaction. “Grounded” is the result of having the chance to be truly removed from the world as I know it and the unshakeable whirling thoughts building strength and haunting my mind for the last thirteen years. “Grounded” is a growing project, a body of work I am showing in stages, building up to a grand final installation complete with a full interactive sensory environment enhanced by five intertwined chapters of stop-motion media. 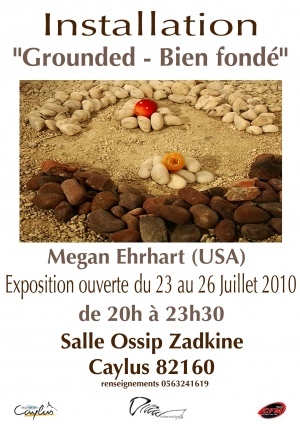 For each exhibition of Grounded, new elements are added. 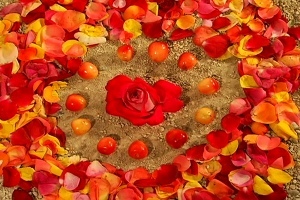 Using very tactile natural materials hand picked from the ground, the first execution of the “Grounded” series features the film entitled “Echoes of Abandonment.” In an attempt to feel a sense of belonging, we may imagine an idealized dream of humanity as part of a greater, singular whole. I explore the common desire to make lasting emotional connections, trading individual identity for the power and comfort of belonging to a larger community. Taking advantage of the unreliable perception of time, at a very primal level, the film provokes disillusionment caused by feelings of isolation and abandonment while questioning the audacity of the persistent, seemingly indestructible, “self”. Embracing surreal imagery that haunted me in my youth, the work I create searches for peace within the nightmare, where beauty and humor exist in the grotesque and the extraordinary. In worlds where a two-headed circus monkey can merrily parade around on a rusted bicycle and dead animals consume their own flesh, these animated environments grant physical presence to disturbing, almost sinister material. By creating charming diminutive monsters and scenes of violence masked by humor, I reduce elements born of childhood fears into manageable portions. 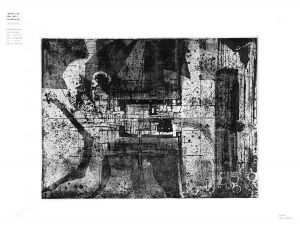 As a printmaker, one of the main conceptual preoccupations of my work has been the metaphorical dimensions of the matrix itself. Currently, the ideas I'm exploring have to do with concentricity and what happens when one creates imagined interruptions to concentric formations. My medium is mokuhanga or Japanese woodblock. Having worked in this medium almost exclusively since 1999, I now feel completely comfortable to develop my ideas with wood and water based pigments, printed by hand with a baren. However, this is a relatively “new” medium and there is much to discover there too. My summer residency film for 2010 relies heavily on immersing myself in another very specific regional culture, developing the narrative as I absorb the world around me though personal experience and interaction with the local population. I will only use materials native to the region for the creation of this animation. The theme will be relevant and crucial as the second chapter to the final Grounded installation. 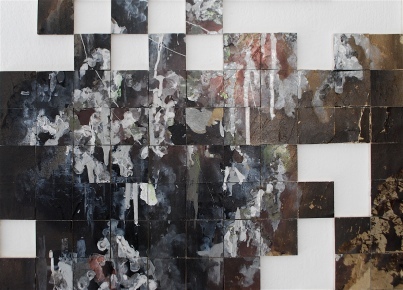 Chirstine McMillan, artist and art educator will be joining DRAWinternational's residency programme in July. My practice encompasses drawing, construction, performance, animation, and collaboration with other artists and the community. Devising structures within which to improvise is at the heart of this practice. Dr Amanda Lawson wrote: ' Christine ‘moves seamlessly across media. 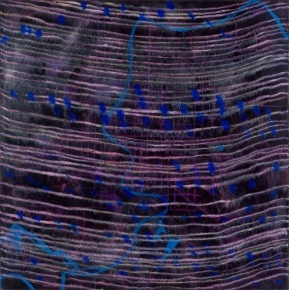 It seems her pursuit of visual languages to capture concepts or shape a fascination with the physical properties of the material world cannot be fixed or limited by any one medium’. 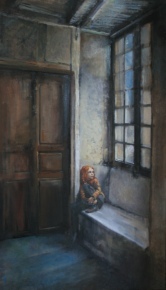 Christine exhibits in Regional Galleries in NSW and Queensland. Australian artist and researcher Dr Margaret Brooks will be resident artist at DRAWinternational in July. Margaret is currently Senior Lecturer, Faculty of The Professions, School of Education University of New South Wales. Her research 'Drawing to learn' is a visual ethnographic study that analyses young children’s use of drawing in their learning process. I am fascinated by the movement of hands in the everyday making of things, the history hands hold and the stories they can tell. My art making is a phenomenological process that examines the elements of space, time, body and relation with my subject. I like to explore the dialogic relationship that occurs between the artist and the subject and the artist and the media. Drawing has immediacy and tactility that puts me in touch with my subject. For me, drawing is a collaborative and interdependent process with a social purpose. It is an exploration of the minutiae of everyday living that helps to give shape and meaning to our lives. 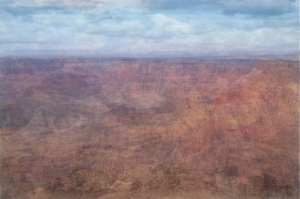 American artist Alex O'Neal will be at DRAWinternational for the month of June. During this time he will develop works on paper that will be elements/points of departure for the site specific piece he has been invited to create for the "Festival d'Art Singulier" in Aubagne, 31 july - 29th August. A native of Mississippi, Alex graduated from Rhode Island School of Design and School of the Art Institute of Chicago. 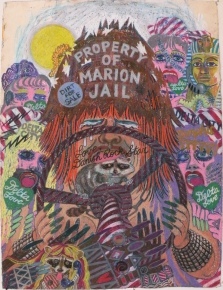 His paintings and drawings have been exhibited widely in the United States and Europe. 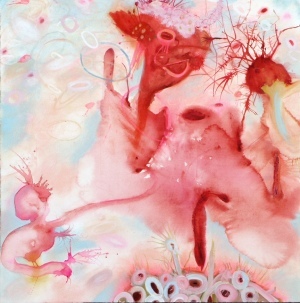 Alex O’Neal currently lives in Brooklyn, NY, and is represented by Linda Warren Gallery, Chicago. 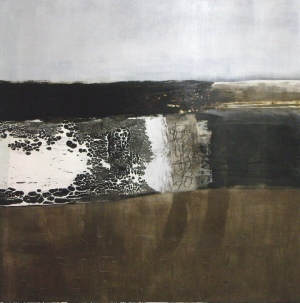 Ruth Trotter is Professor of Art at The University of La Verne, CA. 'Representational Strategies' is the organizing theme of my 2010 sabbatical from teaching. My objective for this sabbatical is to complete a series of paintings and drawings that articulate my own strategies and modalities of painting into a comprehensive body of work. My residency at DRAWinternational will allow me the opportunity to more fully develop this project with creative and intellectual focus and in dialogue with other artists. For the past two years, Paul Beauchamp has been working on a series of photographs of quarries and related industrial sites and presenting them under the title Timescapes. The word ‘timescape’ was coined by Cardiff-based sociologist Barbara Adam. She uses the word to talk about those aspects of the environment that contemporary political and economic discourse renders invisible. Some hazards such as deforestation are easily pictured, while others such as radiation, or the build up of chemicals in the soil operate invisibly and over long periods of time, sometimes centuries. On the one hand, ‘timescape’ opposes itself to landscape, while on the other hand it works to subvert the binarism of nature and culture. Nature has long been pictured as a place of escape from the forces of industrialisation and civilization, but in truth there is no place on Earth, not the tops of the mountains nor the bottom of the ocean, that is immune from the effects of human activity. Beauchamp’s photographs are a vivid illustration of the extent to which ‘natural’ and ‘cultural’ processes have become inextricably intertwined. There is something wild about these places, they are unkempt and as empty of human presence as any moor or mountain and yet the trace of human activity is everywhere to be seen. The theme of this significant art prize `interpretation of place’ offers artists both a challenge and a focus. 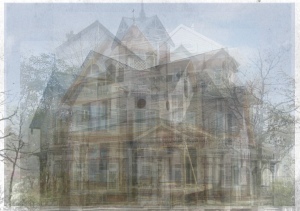 Tempting is to present any landscape, or depiction of a house, room or streetscape and label this as `interpretation’. However `interpretation’ involves a greater degree of attachment as well as the recording of observation. Important in such a brief is for an artist to evoke a particular emotional relationship with the nature and special qualities of their subject to indeed not only relate to, but convey, a sense of place. Several works to me stood out in this regard. I highly commend Mostyn Bramley-Moore, a highly experienced artist and professor of art, who offers a most interesting abstract of his home and history; Pamela Kouwenhoven whose use of discarded materials melded and layered, are highly evocative of both her surroundings and the ability to create meaningful art from the detritus of society; Sunshine g.b. March’s intriguing small ceramics that pack a lot of messages about different levels of society in a small and delightful series; so too the small glass `night’ scenes by Waratah Lahy. Jason Cordero and Sarah Tomasetti’s paintings are impressive for their serene yet powerful landscape qualities. 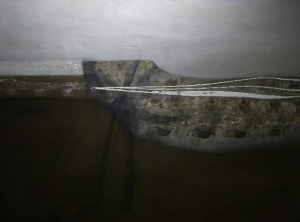 But the work that stood out for me is Katherine Boland’s Across the Bay to Williamstown. At first seeming almost coolly rational in its long perspectives and strong structure, this work speaks of both the universality of the horizon and this artist’s regular and ongoing engagement with it. It was no surprise to read in her statement that horizons of many varied countries have been of both long fascination and perhaps the anchor which keeps her artistically and- one may surmise - emotionally grounded. 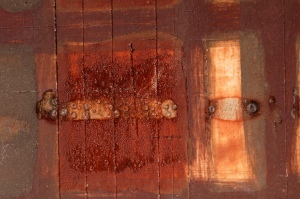 Her use of material – scraped paint over board – is also noteworthy – adding as it does a quality of tactility, a sense of light and shade and a depth to what may have been, if painted in more conventional fashion as oil or acrylic on canvas, a far more flat and less interesting work. Congratulations to the winner and to all of the 56 finalists from more than 150 who entered this year’s most interesting Heysen Prize. In 2 weeks I want to explore my borders and work on a “real life scale”. 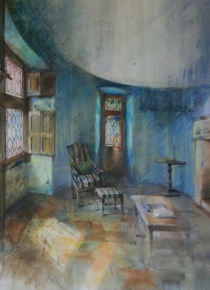 Drawing and painting, in a different environment, can offer a re-awakening of the senses. I have confirmed my reason for painting is people and how they mould the environment around them. How they change it and how the interior space allows the person to be transported, to day dream in security, to be who they want to be. Whether the people are there or not the rooms remain living spaces with the mark of one or many individuals. I have looked at various interiors at DRAWinternational - Art House and am drawn to the empty spaces. A theme that is developing is the day - dreaming, security of inside and fear of outside, physical ease and man at ease in his space. Perhaps there is a progression towards looking at cyberspace where people feel they can be anything and anyone and heaven is there. Alone and together at the same time. However at the moment there is so much inspiration in the real world. 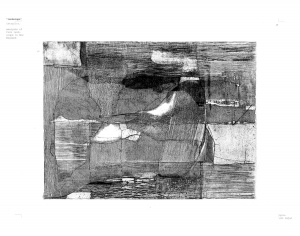 'Fragments of Landscape' a series of drawings made during a one month residency. 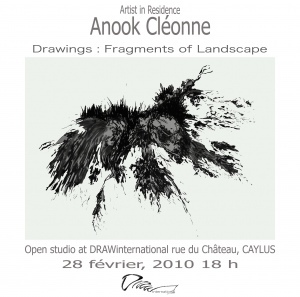 "My drawings deal with the idea of landscape as a frame of mind. I fuse both the romantic idea of a landscape as depicted in art history and as what is literally seen in the real world outside my window". Les oeuvres exposé sont influencé par un peuple d’origine Arabe nommé “Bagara”. C’est un peuple nomade qui survie par leur deplacement d’un point d’eau et de pâturage à l’autre. Ce voyage prendre huit mois de l’année passant de l’ouest du Sudan jusqu’à l’Afrique Centrale, les “Bagara” retournent chez eux que l’été. Dans son travail Bahar poursuit ce voyage, il trace les moments de célébration et de souffrance, son travail, avec ses vibrante couleurs, nous donne une idée de l’esprit humain contre l’adversité. I have been working at Drawinternational for a while, spending afternoons challenging my conception of what drawing might be. This has also included an intensive two-day workshop about ‘The Choreography of Drawing’ with John McNorton. I initially thought that John might bring my drawing up to date and therefore help me define my direction, but despite new challenges during these workshops, back in my own studio I continued to produce paintings that were for me too historically influenced by the Victorians. Therefore, I have decided that a residency is the only way forward. I have arranged with John and Grete, that I will carry out the residency at DRAWinternational for one day a week over 10 weeks. The Bagara people are an Arab, nomadic tribe who travel at the end of every autumn in search of good grass and water for their cattle. They originate in Darfur and Kordofan (Western Sudan) and travel in small groups with hundreds of cows south to neighbouring Chad, onward to the Central African Republic and then southern Sudan, before returning home for the summer. They are walking, and living, away from their home for eight months in every year. Al Nushoug, the northward journey, is the journey home, when the Bagara tribe returns to their lands in Darfur and Kordofan. During this return journey, the homecoming, they change their behaviour from aggressive, defensive warriors to jubilant people appreciating safety. They are welcoming and hospitable. They accept life with a kind and open heart, and a transparent soul. This change of spirit… Is it because they have missed their lands, their home, and are joyful to return? Or because they are tired from the long and difficult journey south in search of grass and water? Or is this their original soul? Or because they just like a fun and simple life? To these questions, I don’t have the answer in words, and I don’t think that even the Bagara themselves have clear or logical answers. In that moment, during al nushoug they celebrate, dancing and singing with mardum rhythms and sangak, kashok and garari movements. They also recite and create poetry and race horses. In this way, they create a unique, communal, warm and joyous atmosphere and a beautiful feeling of life and people. During the celebration and al nushoug, there is a transformation, the Bagara became more sensitive and generous. Even the life rhythm is changed totally. My work is an exploration into this journey, al nushoug. I want to record, to trace these moments of a community passing through time and space through different art techniques like colour, sound and by my personal vision. I want to create this atmosphere and to find answers – from my personal perspective - to these questions of changing spirit, in an artistic way. 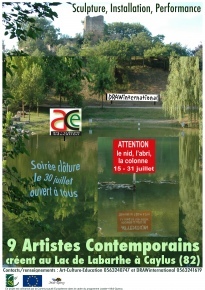 This two day workshop was carried out at la Moutardière, Caussade, France with six local artists. 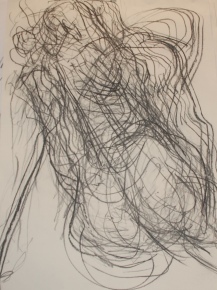 The intention was to help each participant consider their body in time and space through the use of sound, music, gesture and the movement and activities of others in a collaborative drawing experience. 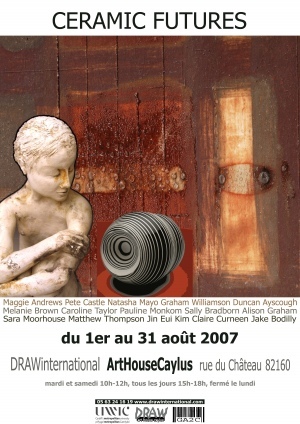 Participants : Maryvon Constant, Danna Moreau, Anne Charlotte Genillon , Annie Nègre, Claude Nègre and Karina Knight-Spencer. Forcé il y a quelques années de quitter son atelier mulhousien, voué à la démolition, Louis Perrin est venu s’installer en pleine campagne, à Brassac dans le Tarn-et-Garonne. « Je préférais aller hors de la ville, voir hors d’un village pour des raisons de rythme de vie et aussi pour ne pas gêner les voisins avec d’éventuelles nuisances sonores. » Son atelier occupe aujourd’hui les vastes locaux d’un ancien moulin du 18e siècle, un lieu atypique auquel l’artiste porte une profonde affection : « des bâtiments de plusieurs époques coexistent et créent un ensemble étrange, qui mêle une architecture traditionnelle du Quercy et des constructions industrielles dont certaines sont posées sur d’anciens murs en pierre. 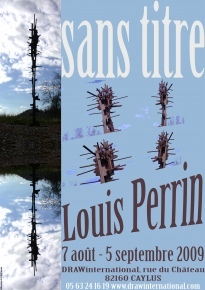 » Peu à peu, Louis Perrin remet patiemment sur pied le noble édifice : « Je n’ai pas en projet de terminer cet endroit, mais simplement de continuer à le faire vivre, d’y vivre, et d’autres continueront après moi », conclut-il simplement. 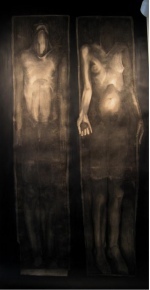 Lauren Keeley is a second year student at the Ruskin School of Fine Art, University of Oxford. 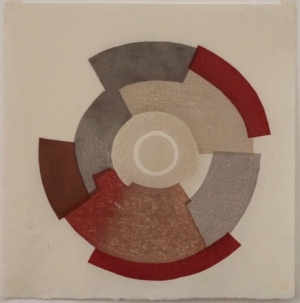 "I work predominately in the mediums of painting and drawing, I enjoy exploring materials, mixing and manipulating them to create a variation of marks and a more tactile sculptural element. I work in a very intricate manner, often building my work up over a long time, hoping for the small details to be as interesting as the overall impression. My work is mostly derived from the natural world yet presented in a abstract way to create familiarity but also confusion." 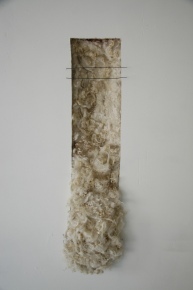 Emilie Pugh is a second year student at the Ruskin School of Fine Art, University of Oxford. I fuse objects and porous foliage scattered over a specific architectural space or remembered room in an attempt to capture the messiness of ones own mind. I want to create a series of very large worked drawings exploring how line can transcribe thoughts and the imagined - a place that encompasses the shift between place and mind space, like when you lean into the folds of a story you open your mind to be ransacked and uprooted. I create bridges between the nostalgia or memory of everyday life and the medium with which I’m working. My work often deals with the ever-changing definitions and trends that move within the art world, as well as those within art history. I am interested in the social confines and historical limits of the gallery setting, and I create multi-disciplinary work that reflects on that by taking into consideration all aspects of the space I am using. The content of my work is significantly inspired by the artistic and social theoretical ideas that are inextricably conjoined with contemporary conceptual art itself. The idea that as a culture, through the use of Internet media and new technology, we are perpetually regenerating a digital semblance of the present, and in turn the past, is at the center of my work. In the culture industry, the viewer plays the part of regenerator, actively perceiving what is presented and then relaying information to the next viewer. 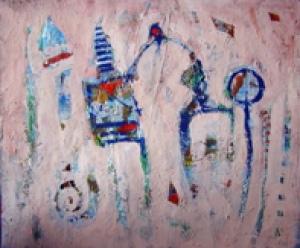 In my work, the interaction between art and viewer is very important in a similar way; those looking at the work not only define the meaning but create a dynamic that involves the context of the appropriated material and the perception of the piece as a whole in the context of the present day. American architect Will Zajac presents "The Cultivar and the Terroir" the connection between place(s) and things. Terroir is used to denote the special characteristics that geography bestows upon places and things. It can be loosely translated as “a sense of place” which is embodied in the inherent qualities and the sum of the effects that the local environment have had on the manufacture of its cultural artefacts; construed as products. Cultivar is a specific variety that has been created intentionally and maintained through cultivation? It has been selected and given a unique name because it has desirable characteristics that distinguish it from similar species. Thus, the cultivar is a unique variety within a general group. My work unites the mundane and the mythological. It inhabits the space where imagination and fiction meet the daily ritual. In the subway stations of Chicago, on a farm in rural Minnesota or the Southwest region of France, I collect: sentences, words, objects, images and events to create fragmented installations. I collage interrupted narratives that pull together metaphor and subtext to illuminate personal and historical associations. 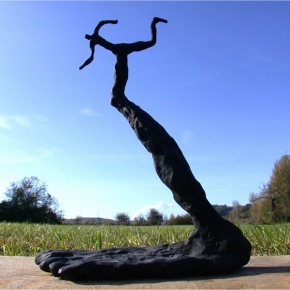 Sculptor Louis Perrin, born in Mulhouse in 1955, has exhibited his work in France and abroad since 1975. 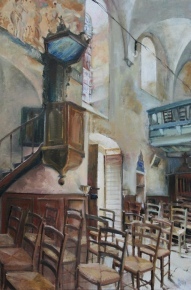 Having trained at the school of decorative arts in Strasbourg and in different studios he then worked in architectural renovation restoring the cathedral in Strasbourg and in Venice. 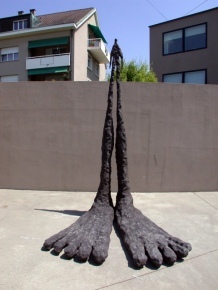 Since 1980 he has created monumental piece in stone, bronze and various other materials. He has worked in education, theatre design and created timebased/installation/performance works in France, America, Switzerland, Bosnia and Germany. Nadezda recently graduated with Master in Fine Art Painting, at the Tartu University, Estonia. Forum: " La Création Polluée " in association with PartageArt. 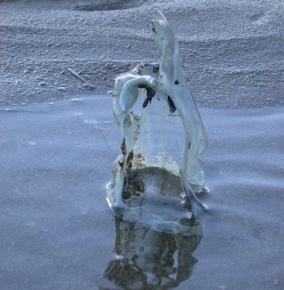 Isabelle BONAUD presents her video " La Création Polluée " and her current art works constructed from debris from the sea. Presentation and discussion followed by an apéritif. American architect Will Zajac will be artist in residence at DRAWinternational for a period of three months. Will Zajac was recently awarded the SOM Foundation Travel Fellowship 2008/9 for Architecture, Design and Urban Design. Certain areas grow ‘things’ very well. Understanding this potential is significant to the discipline of architecture. 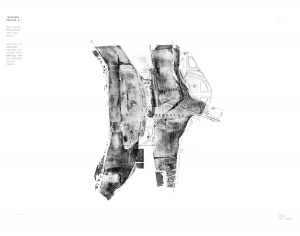 As architects it is our responsibility to not only build but also offer strategies for re-connection to existing morphologies and typologies : the cultivation of place. The architectonic augmentation of our surroundings requires thoughtful action(s) and stewardship. Preservation is not adequate; rather, we must speculate on design as an open-ended system. As such, a considerable portion of my design situates itself in the process of making and remaking in order to refine and cultivate an idea. For me, process is fundamental. The topic of my research – “THE CULTIVATOR AND THE TERROIR” responds to the connection between place(s) and things. I propose a set of phenomenologically derived categories that will help determine the architectonic potential of a terroir and respective cultivar. In particular, I wish to explore places that have distinctive terroir, and subsequently, a special cultivar. 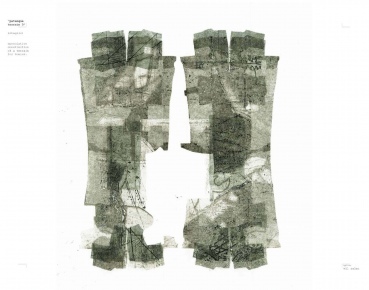 Using methods of printmaking, hand drawing, collage, photography, and computer modelling, I will translate my experience into a series of indexical maps and territorial artifacts. Terroir and cultivar are the epitome of sustainable stewardship. It is the manifestation of the site’s key qualities into a manageable system that is sustainable, appropriate for the environment, its inhabitants, and the economy. The more we understand the inherent potential of our surroundings the better we can re-connect with our built environment. 2.30pm until 6.30pm - hot / cold drinks provided. 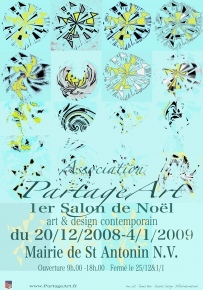 An exhibition of selected Art and Design works by members of PartageArt and invited artists in the region. 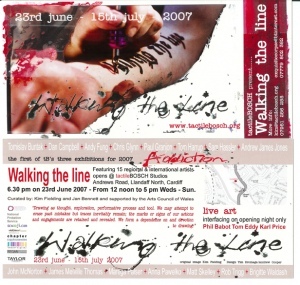 Exhibition runs from Saturday 20/12/2008 until Sunday 4/1/2009. A PartageArt association evening at DRAWinternational, with an introduction to the aims and objectives of the Centre. 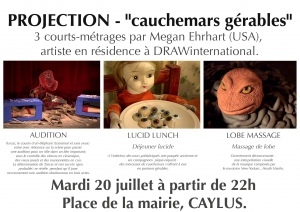 This will be followed by a mixed media presentation of projects carried out in Caylus during the last five years, plus those going on at present. As part of PartageArt’s programme for 2009, members will be invited to contribute to ideas for creative future initiatives. 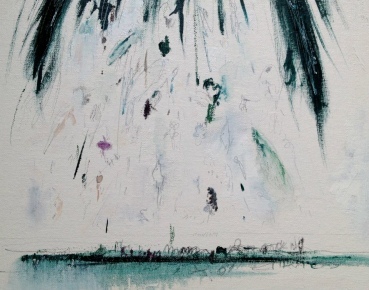 This summer the centre 'DRAW' hosts a touring show from Llantarnam Grange Arts Centre , Wales. We open the studio door and take a peek inside at what goes on behind the making of the work - to gain insight into the processes and the rituals tha artists force themselves through to produce objects that stir our senses. We choose to use porcelain for its inherent and varied qualities, for it's whiteness and colour response, its ability to be both translucent and opaque. It can be fluid, crisp, soft and hard, but always fine and pure. Only porcelain enables us to create qualities in surface and form that we desire. Drawing /Construction Workshops - West Island College, Montréal. West Island College returns to DRAWinternational for the second year. Nine students : Gabby, Sydney, Alexandre, Philippe, Nick, Dimitri, Kaelan, Anthony, and David, and two staff :V. Caldareri & A. Garneau, followed a course of drawing/construction workshops and cultural visits. They were joined by local students for part of the course and participated in a spot on the local radio station, CFM Caylus. The aim of the workshops is to establish a regular group of participants in order to develop ideas through drawing and exhibit/publish works. Open to both experienced artists and beginners these drawing workshops are set up to explore various ideas in an informal studio setting, offering the opportunity for discussion and direction depending on individual requirements. Workshops take place once a fortnight on thursday evenings from 6.30 to 9pm. Please contact us for more information and prices per session. Twenty two international students following the MA ceramics course at the University of Wales Institute Cardiff, came to DRAWinternational for a drawing workshop (practical/ theoretical) specifically designed as an introduction their MA course studies. Gallery open every day except Monday. Other days 3 - 6pm. For details of workshops with resident ceramicist please contact us. Staff and students from the Centre for Ceramic Studies at the University of Wales Institute, Cardiff (UWIC) will be visiting from Wednesday 1 to Friday 31 August for this contemporary exhibition of ceramics entitled: Ceramic Futures’. A successful relationship continues between DRAWinternational, a centre of research for postgraduate art and design education and professional practice, and the MA Ceramics programme at UWIC’s Cardiff School of Art & Design. A developing series of lectures, and workshops at the centre provide additional dimensions to existing curricula. Peter Castle from UWIC’s MA Ceramics programme explained: “During our last visit, we were approached to prepare an exhibition to be held in conjunction with the successful potters market held in Caylus during August. John McNorton, who established DRAWinternational and worked at UWIC for more than 20 years, said: “We offer a number of projects for the community each year and this year will feature professional and student work from Cardiff organised to help extend understanding, debate and cultural exchange throughout this area of France”. 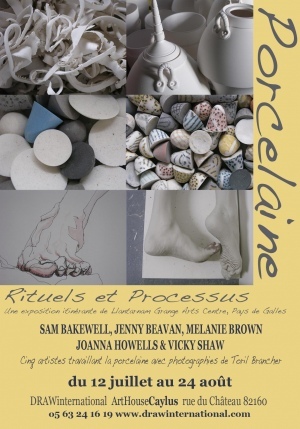 The exhibition, ‘Ceramic Futures’ will be housed in the gallery and studios of DRAWinternational situated in the centre of the village where the ‘Marché des Potiers’ will be held. This brings together current educational research and practice with commerce. 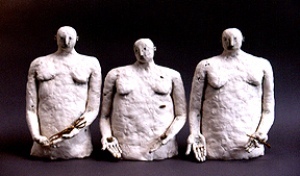 There is an open invitation for exhibiting ceramic artists to stay in the community and it is expected that this will attract visitors from throughout Europe including Germany, Holland, Belgium and France. The Central Line comprises two exhibitions focusing on drawing, at a time of real resurgence of interest in the medium. At PM Gallery, ‘Drawing as Vital Practice’ is a vivid look at the work of ten international artists, whilst ‘ Petherbridge Alone With Soane’, showing in Pitzhanger Manor-House, is a collection of Deanna Petherbridge’s complex pen and wash drawings, reflecting the artist’s fascination with international architectural traditions. Together the exhibitions provide a broad and significant contribution to the debate about the importance of drawing to artistic practice. Drawing as Vital Practice includes works ranging from large-scale unstretched canvas pieces to groups of small drawings and short films. 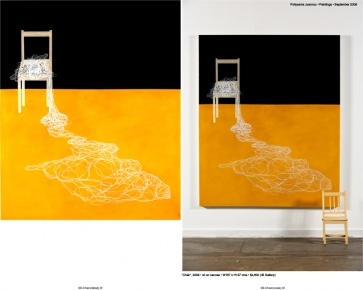 'Reflective Interventions' - alterations and modifications. Opening Saturday 7th October at 4.00pm. Exhibition closes 5 th November 2006, 6.00pm. L’Abbaye de Beaulieu, Centre National d’Art Contemporain, Tarn and Garonne, France. Exhibition of drawings, sound, photographs and prints from 'Reflective Interventions’, a drawing performance installation. 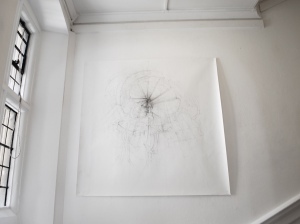 This project considers the dimension of collaborative drawing, taking place in three and four dimensional space and relating to the two dimensional space of a drawing. The drawing activity therefore consciously explores the dynamic relationship between participants in a site specific situation. These works have been instigated on a horizontal plane as an interactive performative event and further realised in a studio situation on a vertical plane. The whole process of drawing and reflection for the project embraces ambition and intentions for development, which may enhance comprehension, performance and communication skills in and about drawing. This dimension relies upon observation, insight, reflection and interpretation from a multitude of viewpoints. ‘The other is what allows me not to repeat myself for ever' . SHIFTwork is a group dedicated to the research, investigation, dissemination and discourse of time based art and work emerging from this field: performance art; live art; install-action; sonic and interactive arts. 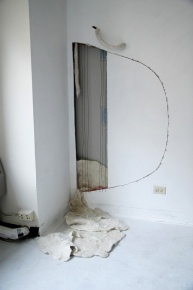 'Reflective Interventions' a drawing performance installation. L’Abbaye de Beaulieu, Centre National de l’Art Contemporain, Tarn and Garonne, France. Power Drawing/NSEAD national conference/event, Bath spa University, key note presentation : 'The Corporeal Space of Drawing'. Power Drawing/NSEAD national conference/event, Glasgow School of Art, key note presentation : 'The Corporeal Space of Drawing'. Conseil General, Tarn et Garonne. In collaboration with NSEAD. A mini conference and an Intensive Drawing Workshop for Artists/Teachers. ‘Sonic Events’. UWIC MA Ceramic students - Induction to the MA programme. Currently being run as an annual induction programme for Fine Art and Ceramics MA Students. Drawing Breath Building Light is a process based clay kiln-building and firing project celebrating the rebirth of 700 year old architectural space in Caylus, France involving workshops with the local community and concluding in a spectacular firing event. The transformative role of fire is employed on a metaphorical level to celebrate an end and a new beginning of both a sculptural project and an architectural space. UWIC MA Fine -Art students 'Drawing as an Interface'. Intensive Drawing Workshop - Royal College of Art Extra Mural students. ‘Choreography in the Studio and the Landscape’. 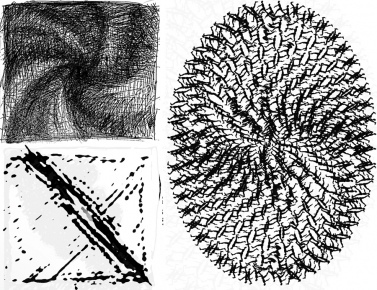 Artist-in-Residence - Terence Phinn (art therapist) - Drawing research course ‘Integrated therapies and pedagogical approaches to drawing’. 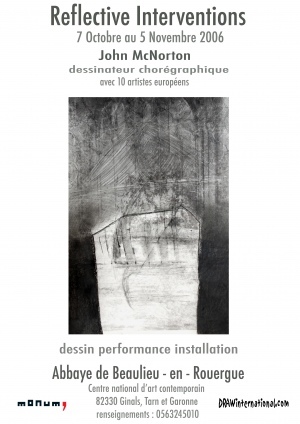 Drawing Exhibition, ‘The Choreography of Drawing : the consciousness of the body in the space of a drawing’. Hockney Gallery, Royal College of Art. James Melville Thomas - Artist in Residence / Exhibition. Pre MA in drawing, St Martins, London. Rocky Meany - Taught programme.